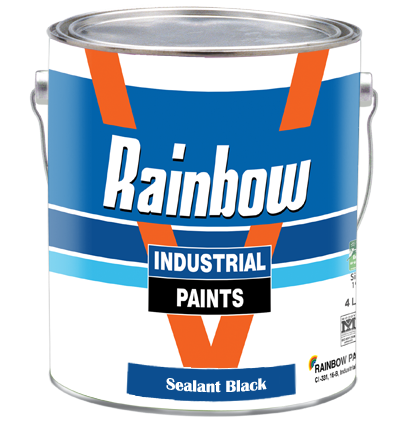 Rainbow sealant black is a non toxic and lead free paint. It is used for water proofing of concrete & steel tanks. This can also be used for lining of sewerage tank walls. 1. Concrete no special surface preparation is required, remove dust dirty, oily material and apply the paint directly to the surface. 2. Steel preferably blast cleaning is required in case blast cleaning is not possible; surface should be cleaned, mechanically. 9-11 Sq. Meter / Ltrs. Copyright © 1981-2018 Rainbow Paints. All Rights Reserved.